Everyone remembers their first time watching Enter the Dragon, it's full to the brim with 1970s clichés. John Saxon plays the loveable rogue. He's plagued by money problems, but one flash of his glorious chest hair and he can convince women half his age to jump into bed with him. Meanwhile, Jim Kelly plays the black guy just trying to get a fair shake. 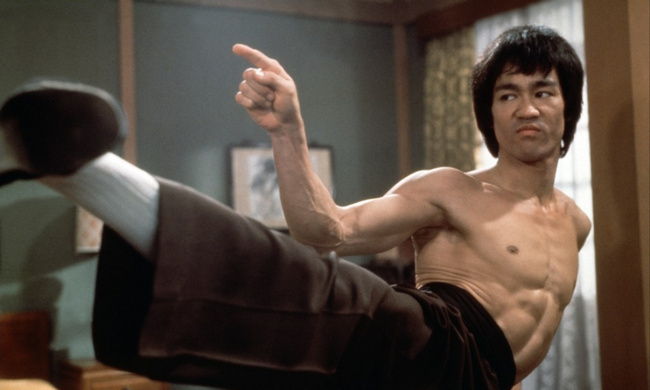 A surprisingly slow burner as martial arts flicks go, Enter the Dragon only really explodes into all out action when our hero, Bruce Lee is caught in the antagonist's underground lair with about thirty minutes left of the movie. Here his black tactical turtle neck is conveniently ripped, so he peels it down to the waist, exposing that ludicrous eight pack. Then he's attacked by wave after wave of guards: confiscating, using, and discarding a handful of different weapons as he works his way through them. It's silly, but it's absolutely hypnotic. This segment climaxes with the infamous ten second clip which was cut from many versions of the film, where Lee breaks out the nunchucks. This scene was censored in many countries because every child—and plenty of adults—who saw the film immediately went out and made themselves a flail. Shortly thereafter, they whipped themselves or a friend in the eye with it. That is why to this day California can't have nice things. But Enter the Dragon is only half of Lee's legacy. The other half was released after his death: The Tao of Jeet Kune Do. A text which was largely comprised of Lee's own notes, it is often assumed to be his own work when really it is in many places a mash up of direct quotes from his own influences—the boxing of Edwin Haislet, the philosophies of Jiddu Krishnamurti and so on. But we are all a product of our influences. What is fascinating about Lee's writings is that he was a Wing Chun master—a star pupil of the great Yip Man through his teens. He could have stopped there and repeated the same stuff forever; everyone else at the time did. You were a karate man, or a judo man, or a kung fu man. But Lee learned everything he could—becoming the godfather of martial arts cross training. In recent years it seems that Bruce Lee was in many ways a prophet. In his process of absorbing what is useful and discarding that which is useless, Lee accurately predicted the future of mixed martial arts and combat sports. 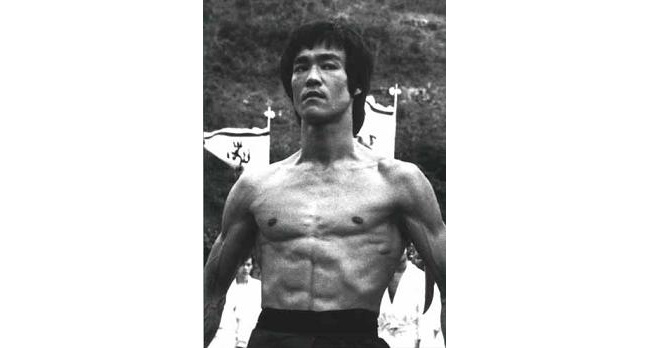 Many of the factors which featured so heavily in Bruce Lee's own teachings and philosophies were thought to be useless even five years ago and have come full circle to make the MMA world sit up and pay attention. The low roundhouse kick to the calf has caught on. But more than that, the low thrusting kicks are all the rage now. The oblique kick which Jon Jones famously hobbled Quinton Jackson with, and the side kick to the lead knee are the real game changers though. They're so fast, so long and so, so hard to catch. They debuted in the UFC when Anderson Silva needed to stay active but never actually fully commit to attacking the great Brazilian Jiu Jitsu player, Demian Maia. But they don't just work on guys who want to dive on your leg—Jon Jones used the side kick to lead leg and the body to pacify and break down the swarming power puncher, Vitor Belfort. Belfort likes to dash in on a straight line and pump his hands. If he gets into his range, you're likely a goner. He just couldn't get past that side kick though. Bruce Lee could send a heavy bag swinging into the ceiling with his side kick, but he didn't just believe in it as a show-stopping power blow. 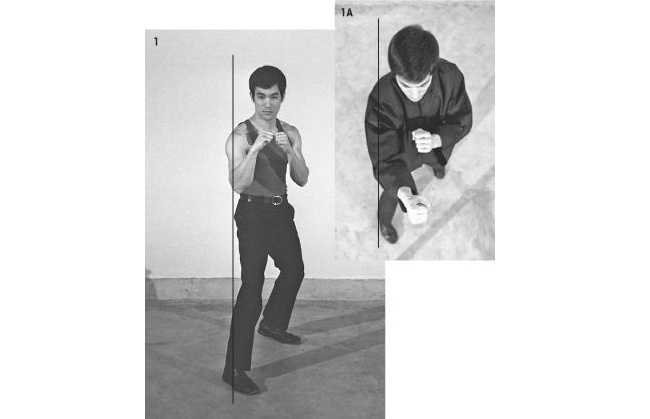 Lee constantly compared the side kick against the kneecap to the jab of boxing. The longest weapon to the nearest target. The side kick was thought to be largely useless for a long time, but Lee's logic was sound and we're seeing it vindicated. Plus if you haven't been training with a technique for the last few years, it can be used pretty well to set you up for other nasty stuff. Check out this violence from Glory World Series. Left hand comes down to react, hook kick swings over the top. 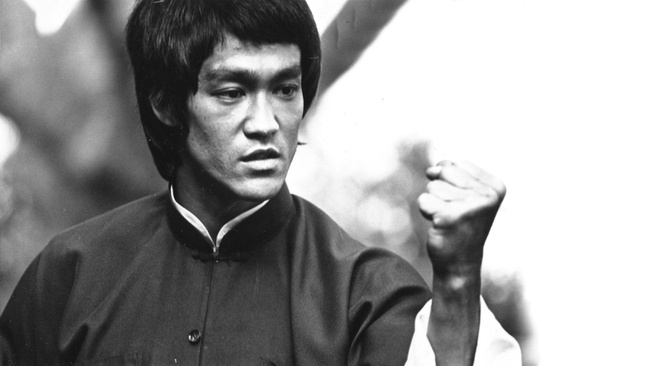 One of the themes through Lee's writings and films is leading with the strong hand. Most martial arts train to lead with the left and throw power rights. Lee's thinking was against dictated by that idea of the longest weapon and the closest target. If your front hand is going to be the closest, why not make it the one you want to do all the hitting with? A few right handers have had tremendous success going southpaw as Lee did. Jerome Le Banner, the Hercules of K-1, was a terrifying site in his prime. The gigantic French kickboxer could knock men out with short rights which looked like they had no pop on at all. Equally, it placed his power leg in front, shortening the path on his crushing power low kicks. And, as chance would have it, right handed southpaws are far more prominent in MMA. Why? Well a great many fighters began as wrestlers and the majority of wrestlers prefer to lead with their right foot. Famously a young Matt Hughes would fight with his left foot forward, then change when he was going to shoot—a habit he understandably eliminated. But the southpaw right hook is such a dangerous punch, from such an unusual angle, that many right handed wrestlers have simply learned to strike from a southpaw stance. Takanori Gomi, for instance, and Kid Yamamoto are both right handers who fought southpaw the majority of the time. Learning to hook out of their new, unusual stance, with their power hand so close to the opponent at all times, both accrued many highlight reel knockouts. More recently, two of the UFC's greatest strikers have been the southpaw counter fighters, Lyoto Machida and Anderson Silva. Both lead with their right the majority of the time, but both are right handed. I mentioned Lee's relationship with Yip Man. 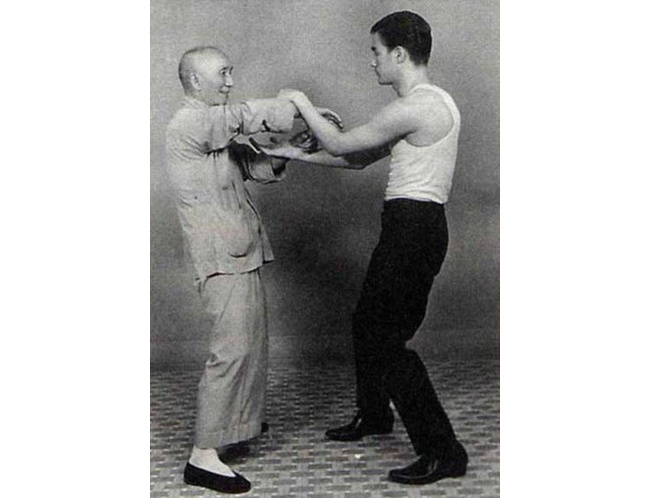 The kind of relationship any Wing Chun practitioner would kill for. Yet by the end of his life, Lee looked more like a boxer or karateka at many times than a Wing Chun practitioner. Wing Chun is largely about hand fighting and trapping—the use of the hands to divert or check the opponent's hand and land blows. You'll see it a lot in Jackie Chan movies, where they go back and forth blocking with both hands across themselves and contorting to strange angles. Against O'hara (played by legit badass and Lee's friend, Bob Wall) Lee shows the rear hand trapping and the lead hand striking through the opening. Just a small example from the movie, but sticking hands and hand trapping was a huge part of Lee's system and appears extensively in his books. Once he started learning to box and sharing that with his students, Lee faced a problem: against disciplined boxers, long strings of traps aren't going to happen. But a single trap is enough to land a good punch. And one punch should always lead to more. Where do we see this in action in MMA? Everywhere. How about when Fedor Emelianenko used an outside hand trap to eliminate Tim Sylvia's jab and leap in with a lead hook. Emelianenko nuked the former UFC champion in just 26 seconds, all off of this trap. One good punch on the neck leads to several more. It used to be that Emelianenko and a couple of others were the only ones using their hands to trap, but now everyone is at it. So much so that in two recent title fights—Johny Hendricks versus Robbie Lawler, and Lyoto Machida versus Chris Weidman—the bout has devolved into a trapping match. 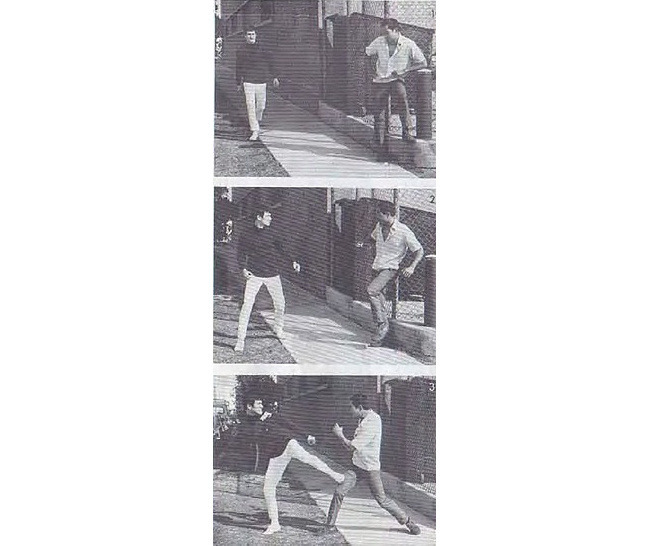 Perhaps the most important principle in Bruce Lee's philosophy was that of intercepting. He even named his art Jeet Kune Do, The Way of the Intercepting Fist. Lee felt that a martial artist shouldn't be put on the defensive by blocking and then trying to counter, but instead should meet an attacking opponent with a strike. I mention in most of my articles the importance of these direct, intercepting counters and the significance of creating collisions. Most people can't punch all that hard, but when the other guy is running onto the punch, anyone can be a knockout puncher. In karate, intercepting counters are known as sen-no-sen. Many of the finest knockouts you will ever see come as interceptions. The aforementioned Lyoto Machida will run away for three or four minutes, until he has his man charging in recklessyl, then Machida will let them dive onto his left straight or his knee. The better the quality of striking gets in MMA, the more we see strikers looking to force the charge out of their opponent and intercept rather than doing any attacking themselves. It is especially helpful when you're against wrestlers to force them to attack, in order to avoid being easily taken down. Some fighters, such as featherweight champion, Jose Aldo, even encourage the takedown in order to intercept it with an uppercut or a knee. What Lee's teachings would look like today is up for debate. The man was all about evolution, but so many martial artists have abandoned that when they've gotten older and started talking about tradition again. What we do know is that even before the arrival of MMA and Brazilian Jiu Jitsu, Lee valued the grappling game highly—training with wrestlers and judoka and including a sizeable section of sketches in The Tao of Jeet Kune Do. Hell, Lee even included the wrestler's guillotine, decades before Eddie Bravo proved it to be a legitimate submission and renamed it The Twister.